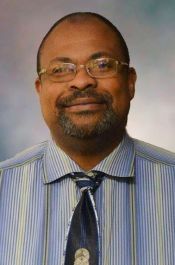 DESA EXPANDS ENGINEERING TEAM | DESA, Inc.
DESA, Inc. has recently expanded its engineering team with the hiring of Antonio Shuler as Engineering Associate. Shuler, a registered Certified Stormwater Plan Reviewer, comes to DESA with more than 15 years of civil engineering experience. His primary responsibilities include transportation design, project specifications, plan review, permitting and utility coordination. Shuler is a graduate of South Carolina State University with a Bachelor of Science degree in Civil Engineering Technology. Prior to DESA, he was an encroachment inspector with South Carolina Department of Transportation in Beaufort. To congratulate Shuler, reach him directly at AShuler@DESAInc.com or at (803) 743-1147.